Here is some really easy and useful steps that make your computer a little faster without upgrading your hardware configuration. Here it is…………. 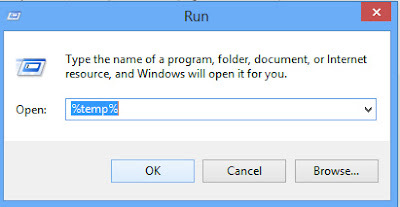 Go to: Start > Run> Type "%temp%". It will open a new Folder named "TEMP". Select all files within it and delete. It'll make your comp fast. 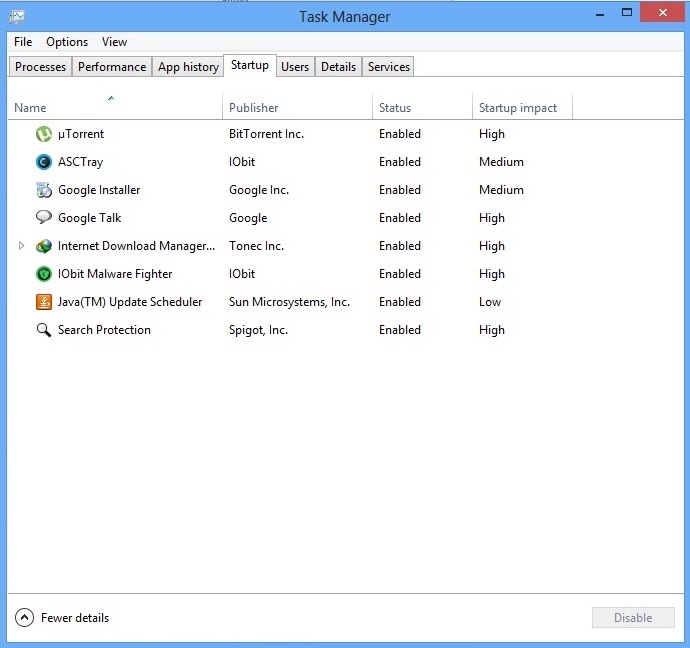 Go to: Start > Run> Type "msconfig"..Under ‘Start Up’ tab uncheck all unwanted application. It'll boost your Computer Start Up Speed a little bit. Clean your unnecessary registry entries Frequently with CCleaner( http://www.ccleaner.com). It will also help to remove unused files. Frequent Defragmentation Of your Hard Disk make your computer run smoothly. So run disk defragmentation regularly. Here is some easy step to run Hard Disk Defragmentation. Right Click On a Local Drive that you want to defragment. And click on Properties. Now Analyze/Defragment your local drive to make it fast and smooth. To Run Go to: Start > Run> Type "Compmgmt.msc". Select the volume that you want to defragment and then on Defragment. Open Internet Options- First click the Start> Then click Control Panel> Network and Internet> and then> Internet Options. 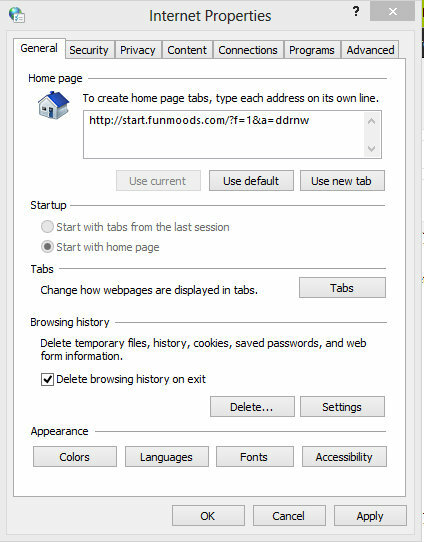 Click on the General Tab> Then under 'Browsing History' Click on Delete. In last step click Delete All and Confirm by Clicking Yes. 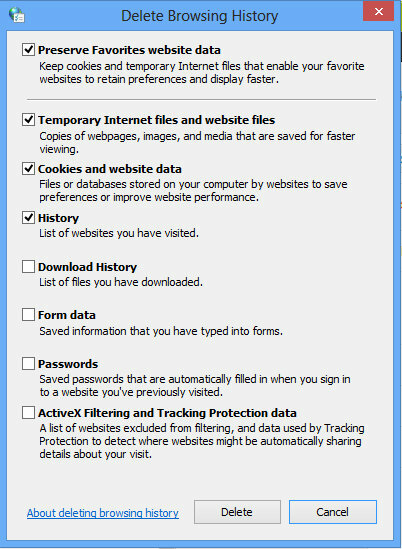 Then Click on OK.
Now Click on 'Safety' and then 'Delete Browsing History. Select check boxes next to each of the category of information that you want to delete. Now Click 'Delete'. If you have a lot of history and files then this process could take a while. Now click on 'Privacy' tab. Now you can clean search history or cookies file. Virus may slow down your computer. So make your PC virus free with any Anti-Virus or Total Security. Kaspersky, Quick Heal, K7 are such well known anti-virus available in market. Or you can use in build Windows Defender if you are using Windows 7 or Windows 8. But if your anti-virus is not updated then it’s useless to have. So keep updating your antivirus regularly. Thank you blogger, Hope that you would update to audience in future. Virus might cut down your pc. therefore create your computer virus free with any Anti-Virus or Total Security. Kaspersky, Quick Heal, K7 area unit such renowned anti-virus accessible in market. otherwise you will use in build Windows Defender if you're victimization Windows seven or Windows eight. however if your anti-virus isn't updated then it’s useless to possess. therefore keep change your antivirus often Insurance Services Pakistan. Clean your redundant written record entries ofttimes with CCleaner( http://www.ccleaner.com). it'll conjointly facilitate to get rid of unused files cheap assignment help. Much obliged to you a great information dear! Throughout the previous couple of months I was suffering this issue during essay help online for student; but now my pc is really running significantly quicker than before in the wake of applying these tips.